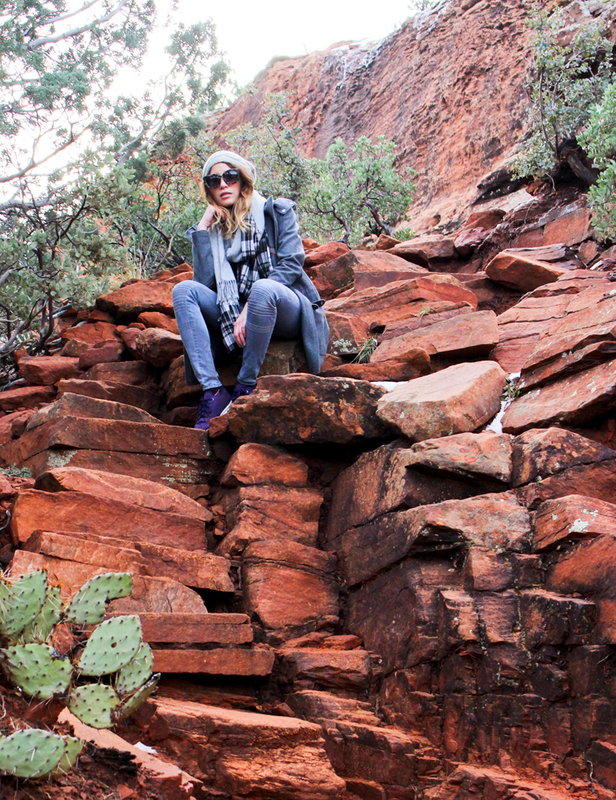 Mastering my layering game for an adventurous Christmas getaway in Arizona. Timberland Kibby parka, Jbrand jeans, Uniqlo heattech turtleneck, Donni Charm scarf, Muji beanie, Zero UV oversize marble sunnies, Rebecca Minkoff backpack (also seen here), Reebok Classic sneakers. 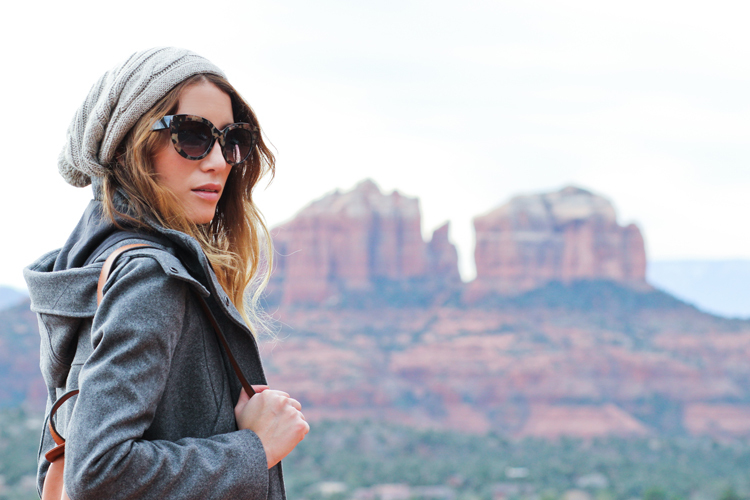 Shot by Isaac Lacey in Sedona, AZ. Being from California, I guess it's a little strange that I've never visited Arizona before. And after spending the past five days here I'm pretty bummed that I never made it out sooner. These snaps are from the first stop on our holiday adventure throughout the state, which has taken us from Phoenix, to Sedona, up North to a little desert town called Page, and then back to our base in Phoenix for Christmas with Isaac's family. And what a trip it has been. 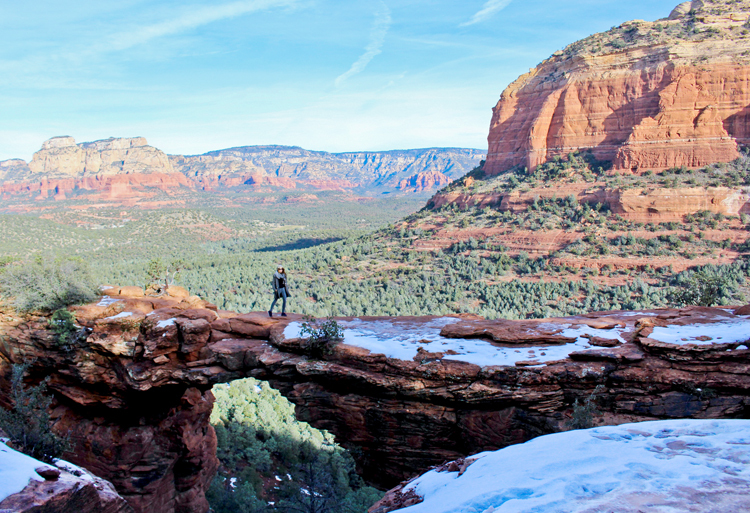 As you'll see from these pics, there's not much to say about Sedona that photographs can't explain better. 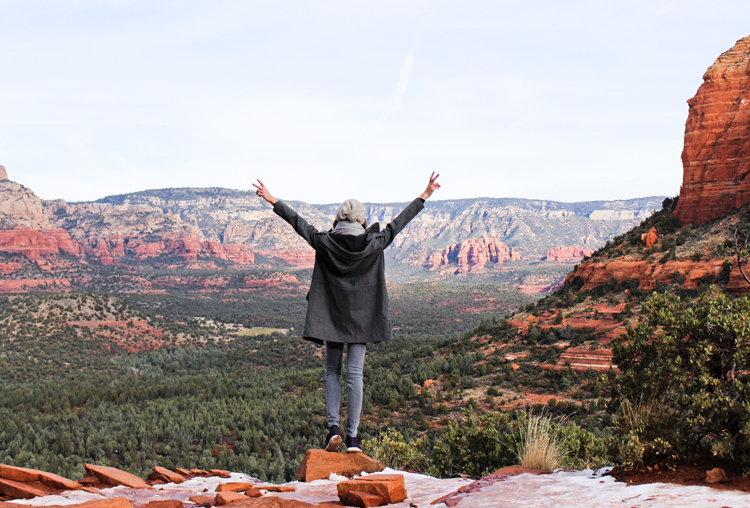 On this particular day, we woke up early to watch the sunrise from the top of Airport Mesa (which gives you an amazing, panoramic view of the whole town), then grabbed some breakfast in Uptown Sedona and drove a little West to hike 'Devil's Bridge' trail, one of my favorite hikes ever. It starts off relatively easy, winding through a dirt road then up an easy climb through the mountains, before leading you to a treacherous overlook on top of a natural stone arch that's accessible only by a skinny, iced-over path. Not great for people who are afraid of heights (or for shoes without proper treading), but totally worth it if you're able to brave both... which we did in the end. Anything for the shot, right? The best reward for our efforts was a soak in the hot tub and a warm drink by the fire pits back at our hotel: the stunning Amara Resort and Spa. 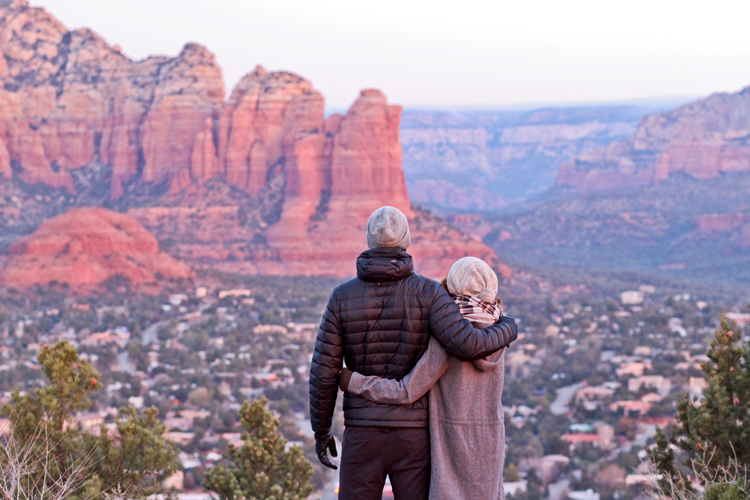 If you've never been to Sedona, I suggest you start planning a visit. Now. Wow this is amazing! Making me want to visit asap.